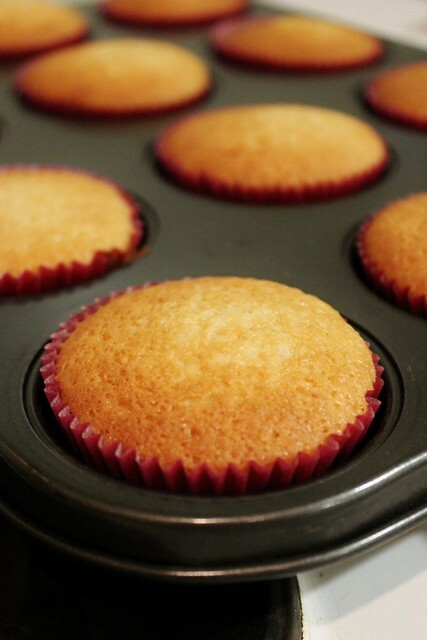 I think I can hear the Hallelujah chorus...I found my new go-to recipe for vanilla cupcakes. 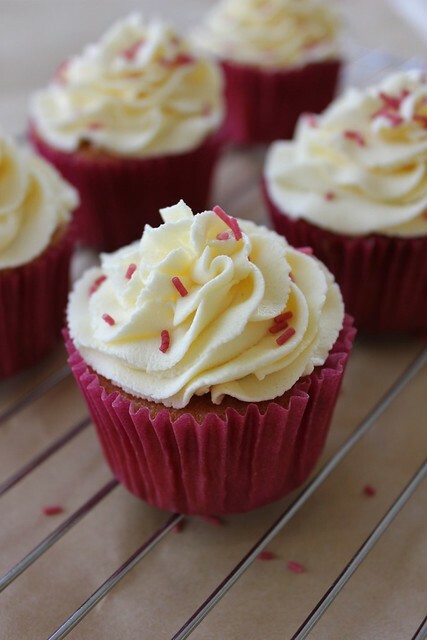 Originally I had a vanilla cupcake recipe from a magazine that I pretty much used for everything but it didn't work out perfect every single time, so ever since I read this post by Glory at Glorious Treats I have been intrigued as to whether this cupcake really lived up to its name. The funny thing is, this recipe looks almost identical to my Chocolate Cake recipe (which of course I use for cupcakes too) other than the cocoa. So I wonder if it is because of this blend of oil, buttermilk and no butter that makes it different. I don't know. I don't care -to be honest. What I DO know is it was heavenly! I iced these bad boys with tonnes of delicious buttercream icing and handed them out at work to get some feedback on my new recipe. Personally I was worried that they had a slight after taste of baking soda but I think maybe I was just looking for a fault. Truth be told these were quite possibly the best tasting cupcakes I had ever made. They tasted like bought ones, not ones from a supermarket, but ones you would pay at least $5 for in a fancy shmancy cupcake shop! As for everyone elses opinions, they loved them! I only bought 14 to work and they didn't make it past lunch time! Without further ado, I present to you the best vanilla cupcake recipe, thank you so much for the recipe Glory! 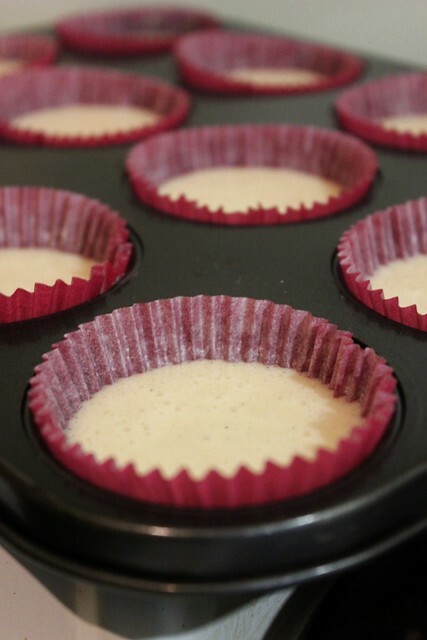 Preheat oven to 180 degrees C and line two muffin tins with cupcake cases. 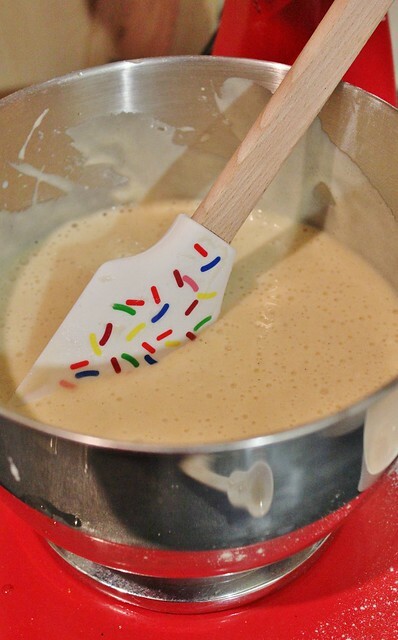 Pour the cake batter in to cupcake cases about 2/3 full and bake for 12-14 minutes. Cool in tin for five minutes before transferring to a cooling rack. Wait for them to cool down completely before icing. 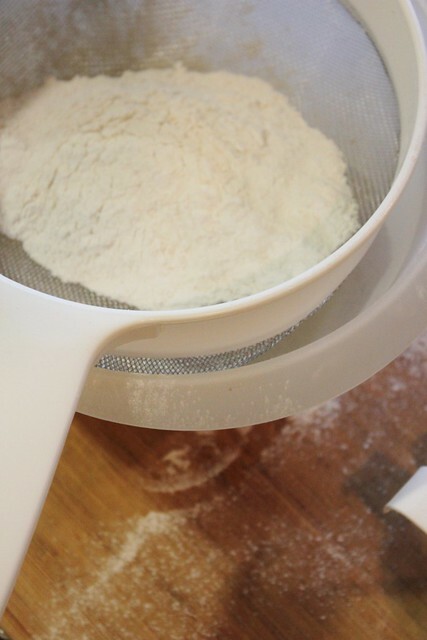 Spoon normal flour into the measuring cup, use a knife to scoop away the extra on top of the cup. Sift the cup of flours atleast 3 or 4 times to mix them together. 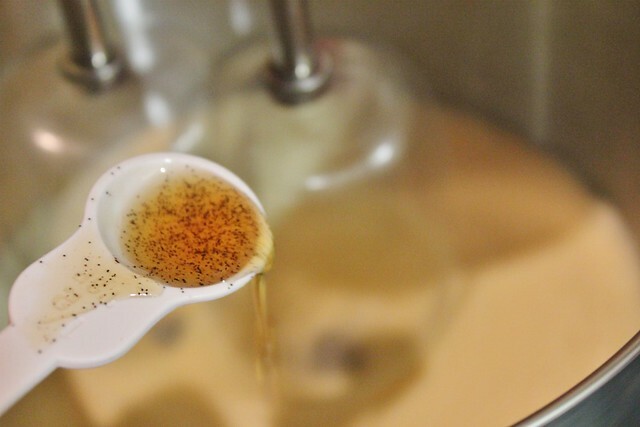 Love the smell of vanilla extract! Tint your favourite colour and pipe on to cupcakes with a large star tip (my favourite is Wilton 1M) using this tutorial. 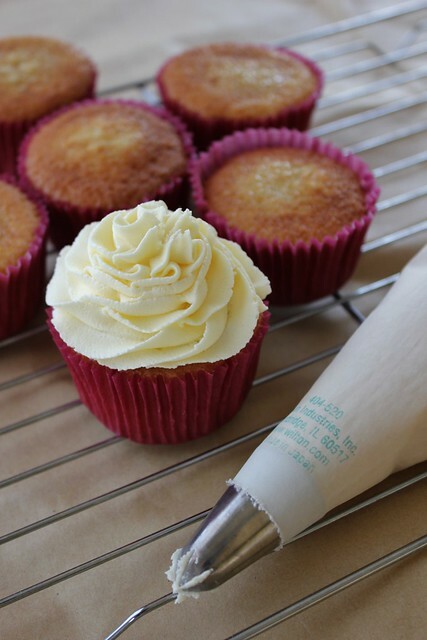 Vanilla cupcakes are Arantxa's favourites, although our recipe is quite different and we use Italian buttercream. Is this an American recipe? I'll go and have a look at the website you mention :-). can we use this recipe for a cake as well? Yes you definitely can! The lady who wrote the original recipe has made it into many cakes, check them out at her site Glorious Treats. 15-16 cupcakes, sorry I'll update the recipe with that, thanks for pointing it out!